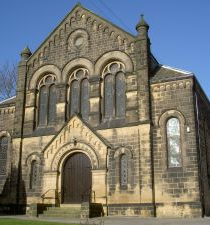 Baildon Methodist Church “hosts” several weekly uniformed organisations groups for children and young people. Includes Rainbows, two Brownie packs, Guides and Rangers. These all meet on our premises. Through these groups, girls learn a wide range of practical life skills, and become increasingly confident. Within the Guides and Ranger units they have the chance to become involved in working towards the Duke of Edinburgh Awards.